This is my first project, so any feedback/help/suggestions would be greatly appreciated! I've been an avid player of the GBA games for years, so I was pretty exited when I found out you can make your own friggin Pokemon games,So I sort of dived right into it without much thought, planning, or skill, but hey, how could that possibly go wrong! 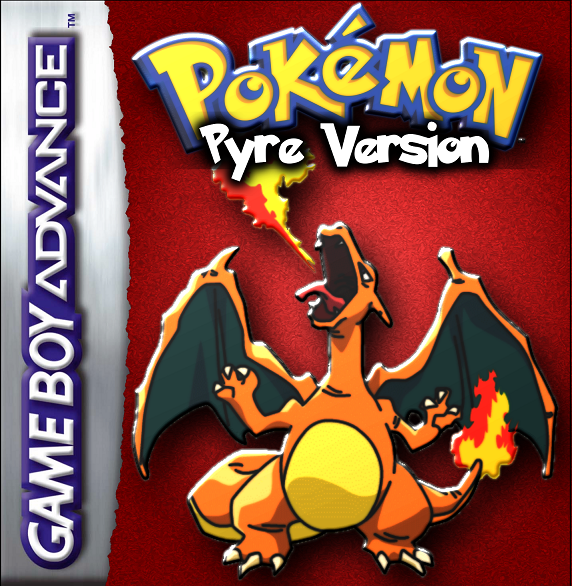 Pokemon Pyre Is set on the island on Pyroh, dominated by the Pyre desert (can you see the theme forming?) & Mt Pyre, a large dormant Volcano, that team rocket are trying to awaken, to summon a mighty fire Pokemon (Charizard) said to sleep in the heart of the mountain. In the process, Team Rocket inadvertently summon all the fire Pokemon on the island to the mountain, effectively removing fire Pokemon until the end game. As the Hero, you start the game in small town, and are left a letter from your brother (and rival) to bring a Pokeball to him in the next town. On the way to the town you get stopped by a Pokemon trainer, who wants to battle with the Pokemon in the ball! So standard gamefreak stylie. But it's nice and simple, and gives me a chance to learn the tools and hopefully make something vaguely enjoyable. This is a very rough version of the map, I know there are a lot of bits that do not match up yet + there is meant to be a bigger gap between the first town and the park, but hey, I wanted to show you all sooner rather than later. 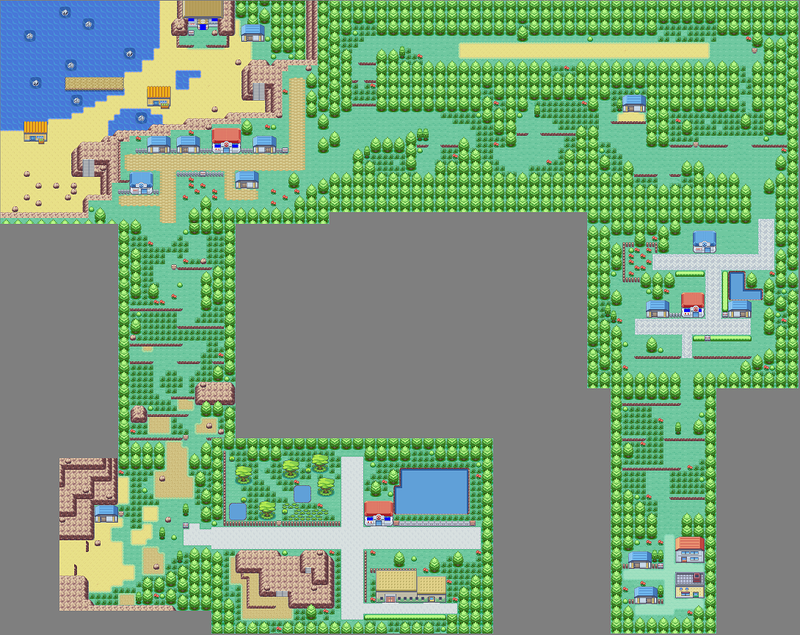 Your home, in Ascot town, is in the bottom right hand corner, where you live with your brother, who studies evolutionary stones in the lab (your first pokemon is an Eevee, and you get a choice of stone halfway through the game). The it's up to route two, where you can take the Golden road challenge to win a prize, or head right to Aquarin city, and your first gym battle. After that you can head down routes three and four, and either go left into Pyre desert, (which is blocked of early in the game) or right into the national park, where different Pokemon live together, and rookie trained can brush up there battling skills in a safe place. 0.01 - What you see at the moment. My current aim is to link these three towns, and the park, together, and tidy up all the edges. My thinking is that If i can link these areas together, and close of any ways out, I can then work on all the events, scripts, and battles to fill the section of the map out. I can then start work on the next areas. I would love as much feedback as possible, and if there's anyone who can offer some time to help me with the spit and polish when(if) this gets close to being completed, that would be awesome!